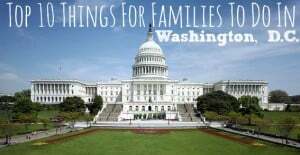 Visiting Washington DC with the whole family? 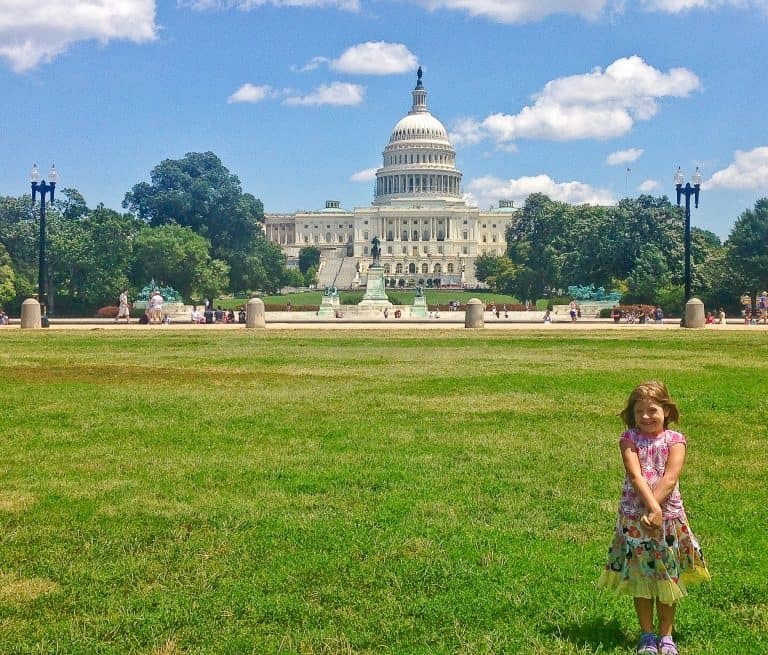 If you’re looking for things to do in DC with toddlers and preschoolers on your family vacation, we’ve got you covered. While there’s no children’s museum in DC at the moment, there are plenty of family things to do in DC, including Wegmans Wonderplace, a play area for ages 0-6 at the National Museum of American History. On our first visit to Washington DC with two preschoolers, we learned an important travel lesson. My family took the elevator to the top of the Washington Monument and looked out at the White House with much anticipation. I asked my young four-year-old, “Who lives at the White House?” followed by a hint, “it’s someone really important.” Just as his daddy whispered, “President Obama,” my four-year-old blurted out, “My Grandma! My Grandma lives at the White House!” The 20 people, squished like sardines at the top of the Washington Monument with us, turned around to smile and chuckle at my little boy. To him, the most important person in the world is not the president, but his Grandma. How do you enjoy a visit to Washington D.C. with young children who might instead prefer a trip to Grandma’s house? What can they learn about American history and government at such a young age? Will they be able to have fun and play in a city full of museums and monuments, or will it all be too overwhelming? We’ve got some suggestions for the best family things to do in DC with toddlers and preschoolers. Visitors young and old are bound to pick up a bit of patriotism and respect for the country’s veterans while visiting DC. The Washington Monument is surrounded by American flags. In the summer time, vendors sell red, white, and blue popsicles nearby. When my children were preschoolers, my four-year-old used to shout, “That’s our flag!” every time we drove by a memorial or monument flying the stars and stripes. Then, my five-year-old sang the refrain, “You’re a grand old flag” over and over again. Walking around the National Mall, my preschoolers used to love spotting the American flags. They also enjoyed tracing the engravings on some memorials with their finger. When visiting the Martin Luther King Jr. Memorial, my kids found the engraving of the name of Martin Luther King Jr. right at their height. They traced his name with their pointer finger over and over again. Conveniently located just down the street from the Washington Monument is the National Museum of American History, which houses one of the most famous American flags in our country’s history. There is truly something for everyone at this museum, from an exhibit on the history of transportation in America to Wegmans Wonderplace for tots. My daughter used to refer to this museum as the “Fancy Dress Museum,” because it is the home of the inaugural gowns of most of the First Ladies. My son remembers it as the “Train Museum in the City.” While my preschool-age children may have forgotten that the museum also houses the original flag that inspired our national anthem, they did enjoy playing with a large, touch-screen computer image of the flag when we visited. 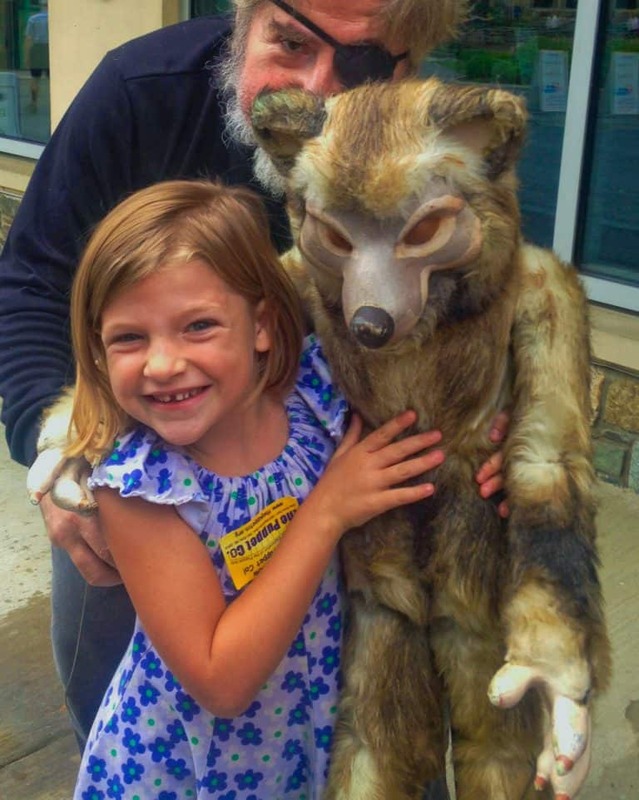 Since 2015, the National Museum of American History is also home to Wegmans Wonderplace. It is the only play area for children ages 0-6 on the National Mall. With a Smithsonian Castle shaped climbing structure and miniature version of Julia Child’s kitchen, the Wegmans Wonderplace play area lives up to all the hype. Its 1,700-square-feet are separated into six separate play areas. Wegmans Wonderplace is plenty big enough for dozens of toddlers and preschoolers to play while their older siblings check out the rest of the museum upstairs. The list of Smithsonian Museums open to the public for free in Washington D.C. can be overwhelming. Families can pick and choose from a variety of options. I encourage families to find a special event that is a good fit for their family. For example, visiting the National Postal Museum on Family Day is much more fun than braving a summer afternoon crowd at the National Museum of Natural History. On Family Day at the National Postal Museum we got to participate in a lot of toddler-friendly activities. However, we also had an opportunity to appreciate the regular collection, which is surprisingly interactive. Check the schedule for toddler and preschool-aged story times. The National Air and Space Museum, National Museum of the American Indian, and National Gallery of Art all have special programs geared towards children ages 7 and under at various times during the year. Traveling to Washington DC with preschoolers? 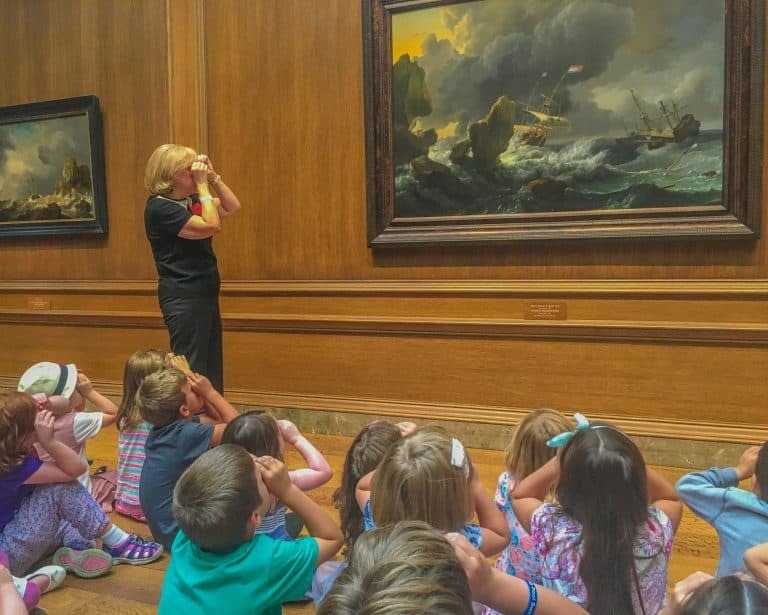 The National Gallery of Art has some of the best programming for the preschool and early elementary age group during the months of June and July. For a change of pace after visiting some memorials, head over to one of the museums at The Mall to watch an IMAX movie. Alternatively, check out a children’s theater performance. From the Discovery Theater in the National Mall to Puppet Co. shows in Glen Echo Park just outside the city in Maryland, there are plenty of live, kid-friendly performances showing nearly every day in the D.C. Metro area. For some quiet time, head on over to The Library of Congress. The library itself is spectacular. However, the Young Reader’s Library, a small room in the basement, is set aside for children. It holds a traveling parent’s dream, bookshelves loaded with picture books and a quiet place to read. It is a great place to recharge after taking a tour of the Capitol or before heading out to eat on Capitol Hill. Traveling isn’t very fun if it is all learning and no play. Even in the nation’s capital, young children need an opportunity to relax. Just a few blocks from The Mall is The National Building Museum, a great place for kids to play though it does have an admission fee. It has a unique play area called the Building Zone for young children ages 2-6. It’s as close as it gets to a children’s museum in DC. There is also another kid-friendly exhibit, “Play Work Build,” for older kids and adults. Young children will find almost every type of block imaginable here at this children’s museum in DC. It’s perfect for the little engineer. Even if your kids aren’t engineers-in-training, no worries. My five-year-old daughter spent an entire 45 minutes playing in the Building Zone playhouse. Then she refused to leave when our time was up. For a momentary diversion before heading back into another museum, check out the Carousel in The Mall. It has been repeatedly voted my children’s favorite thing to do in the city. Take it from the experts! If you have a car and want to mix up the museums with some more natural scenery, check out one of the many trails along the Potomac River. My two favorites are the trail at Scotts Run Nature Preserve, just over the border in Virginia, and the Billy Goat B Trail just outside of Carderock, Maryland. Both trails are best for ages 4 and up and are located within a half-hour drive of the city. My family has hiked the Billy Goat C Trail with a toddler friend if you’re looking for something appropriate for that age group. 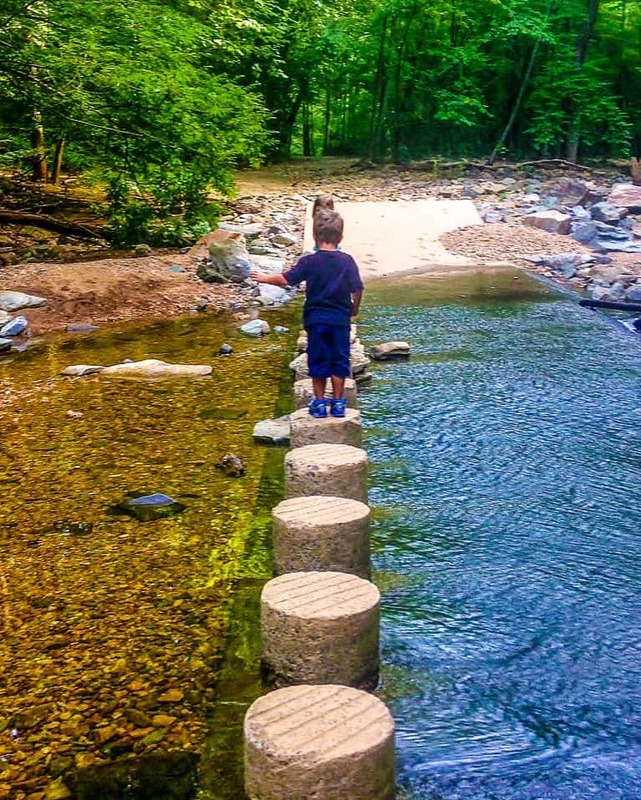 If you don’t have time or energy for a hike, but still want to head out of the city to get some fresh air, Brookside Gardens and nearby Brookside Nature Center, both in Wheaton Regional Park, offer a nice place to get outdoors in Maryland. 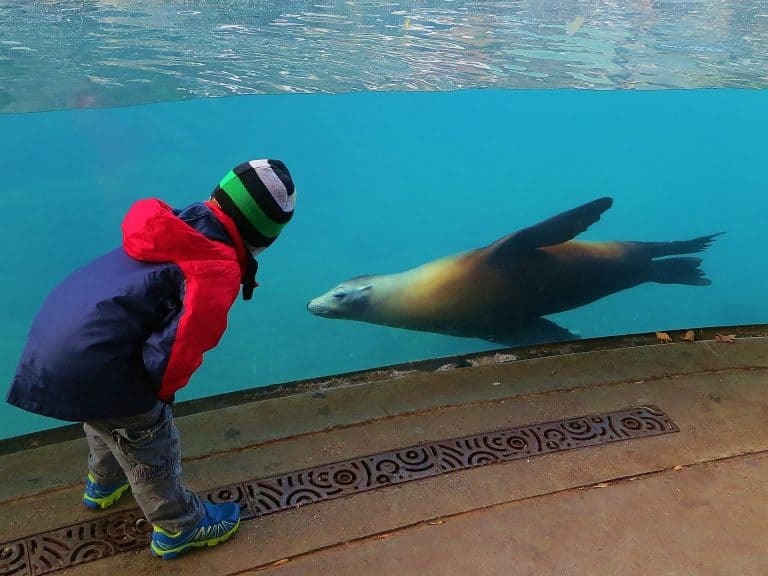 The National Zoo is often a top recommendation when visiting DC with toddlers. 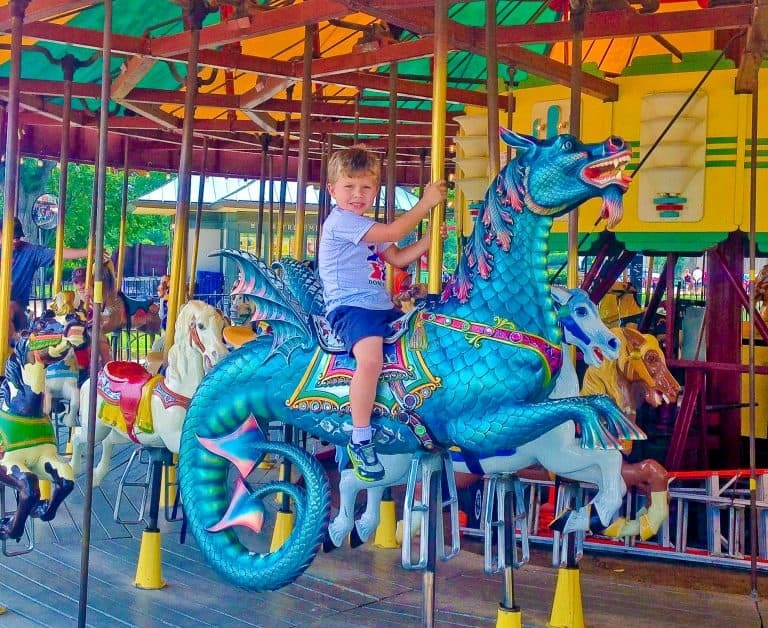 While the zoo is guaranteed to wear out both you and your young children with its hilly terrain, it may well be worth it. 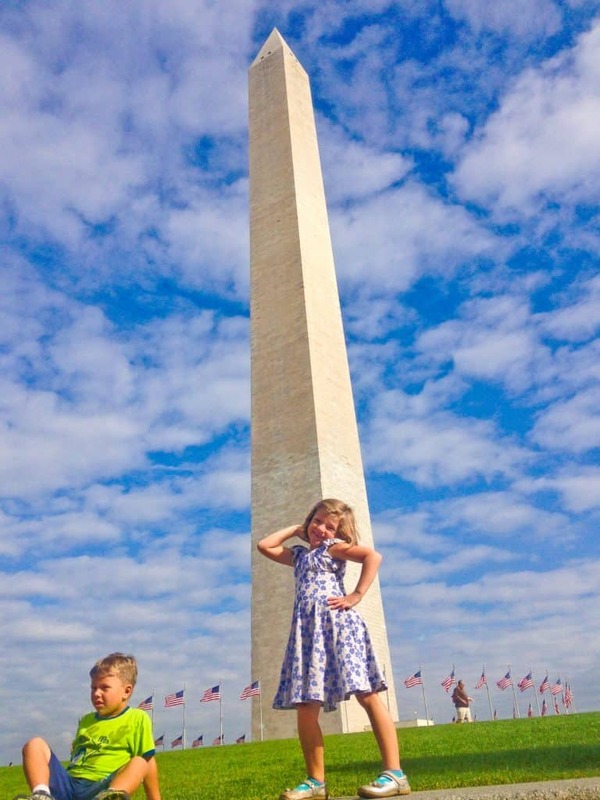 I made my first visit to Washington DC as a six-year-old and remember only a few things. I remember breaking my parent’s camera in front of the Air and Space Museum and waiting in long lines at the White House. However, the highlight of the trip was seeing those adorable pandas from the National Zoo. Looking for fun for the older set while in Washington, D.C.? Don’t miss our Top 10 Things to Do with Kids in Washington, D.C. and check out The Ultimate Guide to Washington, D.C. for tour recommendations and more! Great article! I loved reading this!